Healing Hearts – The essence of music is to give joy (Aristotle). 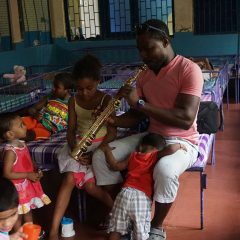 In the orphanage in Agra, we have made great experiences with this. 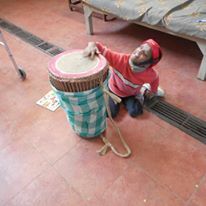 We bought bongos and kongos as well as a keyboard for which the children get lessons by two young dedicated Indians every week. In particular for the mentally disabled children,are the self-produced sounds something special. Almost everything else in life is taken out of their hands. More information on the orphanage can be found here. Get to know this project with an internship in India!